Adam Scott won the Honda Classic last year with a score of 9 under. One of the tougher courses in the PGA Tour rotation, PGA National, isn’t likely to yield many low numbers -- the winning score has reached double digits under par just once in the past six years, when Rory McIlroy fended off a charging Tiger Woods on the back nine in 2012. The town of Palm Beach Gardens should be in for some weather towards the end of this week, so don’t expect things to be much different this time around. At last year’s Honda Classic, Scott was on fire, signing for a 65, a 66 and two 70s to clip Sergio Garcia by one stroke and take home his 12th PGA Tour win. That week, he delivered one of his strongest putting performances of the year and was solid across the rest of the board, setting him up for a great defense this week. He also tied for 12th at the 2014 Honda Classic, so it’s not like the win was a one-off. Furthermore, Scott has fared well in both of his official starts this year, notching a tie for ninth over in Singapore last month and a tie for 11th at the Genesis Open last week. Everything appears to be aligning in Scott’s favor this week. If he can stay focused, he’s got a great chance to become the Honda Classic’s first back-to-back winner since Jack Nicklaus in 1978. Since breaking back onto the PGA Tour at the end of 2013, Knox has never missed a cut at PGA National, notching back-to-back podium finishes in 2014 and 2015. He came within a whisker of winning the whole thing three years ago, ultimately losing to Russell Henley in a stacked playoff that also included Rory McIlroy and Ryan Palmer. In terms of recent results, he’s notched a pair of top 20s in his last three starts, and he ranks in the top 15 on the PGA Tour in both driving accuracy and greens in regulation. Last year, Knox showed us how talented he really is by reeling off an impressive multi-win season. It wouldn’t be surprising in the least to see him finally nab a victory on a course that’s been so kind to him in the past. Fowler has gone 5/7 in his career at PGA National, logging a total of four top 25 finishes over that stretch. He notched a tie for sixth at last year’s event, turning in a very solid putting performance while also ranking fourth in the field in driving distance. Thus far in 2017, he ranks first in strokes gained: around-the-green and 30th in greens in regulation, good signs as he heads to a tough course. While his recent form has been somewhat uneven, he had it going in his last start, striking his way to an impressive tie for fourth at the Waste Management Phoenix Open. Despite his recent inconsistency, Fowler appears to be trending in the right direction, so he can definitely make a run at PGA National. There just might be a shock of orange in the winner’s circle before this week is done. Garcia’s recent consistency makes him a prime candidate to perform at the Honda Classic this week. His Dubai win was just the latest in an impressive stretch of five top 20 finishes in his last six starts dating back to last October’s CIMB Classic. He’s also got some nice history at PGA National, compiling a 6/6 record since the tournament moved there in 2007. That run includes a pair of top 10s in the last three years, including a narrow loss to Adam Scott at last year’s event. To go along with his strong form and great track record, Garcia currently ranks third on the PGA Tour in greens in regulation. If he can bounce back from a so-so week at Riviera, he should have plenty of opportunities to score at the Honda. In his career at the Honda Classic, Thomas has gone 1/2 with a tie for third in last year’s edition, finishing just four strokes behind winner Adam Scott. That week, he drove his way to four consecutive rounds in the 60s, all of this in spite of a sub-par putting performance. While his last two starts haven’t been very impressive in that regard, we need to remember who we’re dealing with here; this is a guy who won the Sony Open by seven shots last month. If he’s feeling motivated, then the talent is certainly there. All in all, Thomas has both the skill set and the history to deliver a big-time performance this week. Here, he has a great chance to put the last month behind him and return to his winning ways. Don’t be surprised if he pulls it off. Berger has come close to winning the Honda Classic in the past, dropping a sudden death playoff to Padraig Harrington in his tournament debut back in 2015. He followed that impressive result up with a missed cut in last year’s edition, so he should have plenty of motivation to bounce back this time around. He hasn’t been in the greatest form lately, but he has picked up a pair of top 15 finishes in the new year: a tie for 14th at the SBS Tournament of Champions and a tie for seventh at the Waste Management Phoenix Open. Despite his missed cut last year, all signs point to Berger making a successful comeback performance at PGA National this week. Never count out a player who can roll the ball as well as he can. Oosthuizen has been at or near the top of his game in his two most recent starts. Earlier this month, he fired four consecutive rounds in the 60s en route to a solo third at the Waste Management Phoenix Open, and just last week, he backed that up with a fifth-place finish at the World Super 6 Perth. That kind of form does a lot to offset his questionable history with the Honda Classic, which includes a pair of withdrawals due to injury. With both his body and his game cooperating, the bet here is that he does some damage at PGA National this week. Though he has one of the sweetest swings in the game, Oosthuizen has gone without a PGA Tour victory since his major-winning week at St. Andrews back in 2010. If he gets some breaks, he’s more than capable of bringing an end to that drought this week. 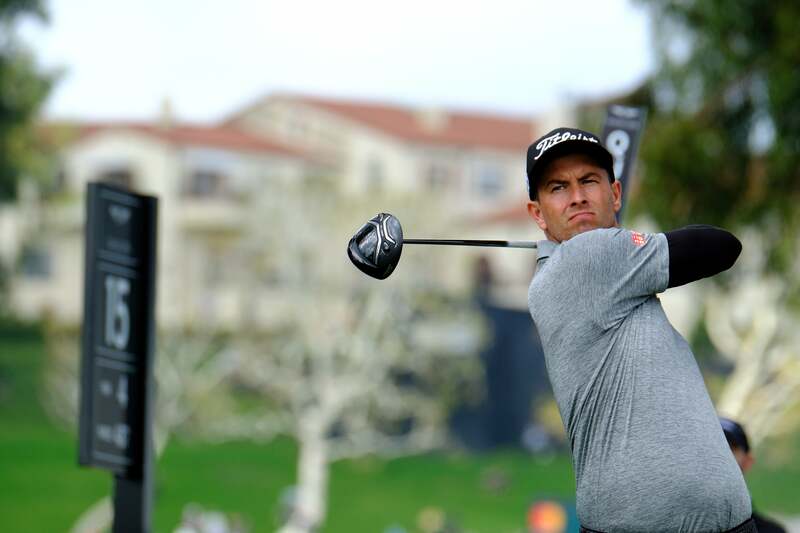 Incredibly, Howell is currently on a run of seven consecutive top 15 finishes, a stretch that dates back to the Shriners Hospitals for Children Open last November. While the Honda Classic hasn’t been one of his strongest tournaments from a historical perspective, he’s still 6/7 since the event moved to PGA National in 2007, picking up a top 10 finish along the way. Course history buffs may roll their eyes nevertheless, but you can’t deny his form -- not when it helped him to outplay his track record at Riviera. He also ranks inside the top 50 on the PGA Tour in three different strokes gained categories. Howell has taken his characteristic consistency to new heights this season. While his form won’t be this good for the entire year, he appears to be all systems go this week, so expect him to shoot some solid scores. Donald will enter the week on a wave of back-to-back top 25 finishes, with a tie for 23rd at Pebble Beach and a tie for 17th at Riviera. Now, he’ll prepare to keep it going at PGA National, where he’s gone 6/6 over the years. That stretch includes a total of four top 10 finishes, so with his game trending in the right direction, he should feel very confident. He ranks sixth on the new PGA Tour season in strokes gained: putting, so birdies won’t be hard to come by. The stage appears set for Donald to make a run at his first PGA Tour win in nearly five years. The Englishman is at his best on and around the greens, and with that part of his game peaking, we shouldn’t be surprised if he remains in contention well into the weekend. With five top 25 finishes in his last six starts, Henley has been getting consistent results in the new PGA Tour season. Despite that, he’s actually fallen in the Official World Golf Ranking over that stretch, and his highest finish was a tie for 10th at the RSM Classic. Also, while he won the Honda Classic in 2014, his results since then -- a tie for 44th and a missed cut -- have been decidedly underwhelming. Still, if you look at his entire record, Henley checks enough boxes to warrant an endorsement for this week’s event. With some decent form and a solid stat line, it wouldn’t be surprising to see Henley post another strong finish at the Honda Classic. Maybe he'll do the improbable and snap his win drought too.